This allows our customers to receive the freshest bass possible. Once harvested, our are immediately chilled in a slurry of water and ice before they are individually inspected. 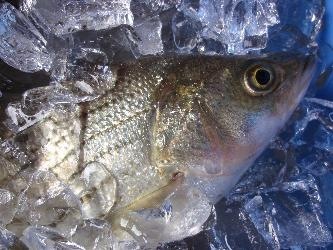 Each bass is weighed, sorted by size and gently stacked with its belly down on ice. Our bass are sold fresh in the round. Each box contains 50 pounds of our premium quality hybrid striped bass. 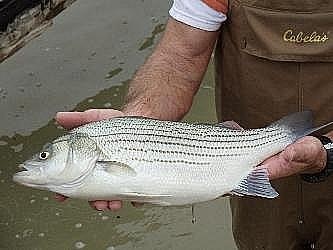 Our producers work 365 days a year so that our customers can rely on consistent availability of our premium quality, farm raised hybrid striped bass.